Upload one for male and another female image. You can have a caption for each image just below the images, here in the picture it is written "Happy Anniversary", but you can have your own words. 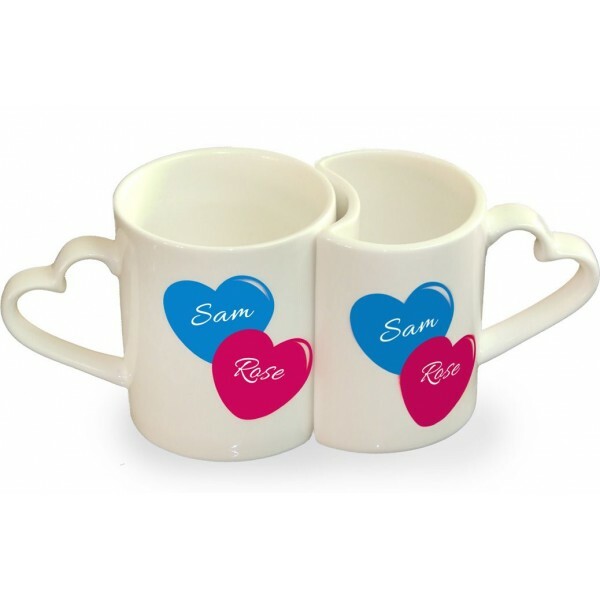 The other side of the mug will have two hearts with the names. Perfect gift for husband-wife, new couples. The mugs fits into each other, however, each one is complete on its own.